November 15, 2017 is not an ordinary day in Zimbabwe’s political history. The day was characterised by action-packed events that culminated in the resignation of former president Mr Robert Mugabe. History has recorded November 15, 2017 as the epic day that canonised the end of Mr Mugabe’s long rule. It is the day that former Zanu-PF national commissar Mr Saviour Kasukuwere and his acquaintances Professor Jonathan Moyo and Mr Patrick Zhuwao skipped the country’s borders and became fugitives. It is the day the Zimbabwe Defence Forces (ZDF) intervened to mark the launch of Operation Restore Legacy. Mr Mugabe was placed under military protection on the same day. Above everything else, the major highlight of the day was a speech by Lieutenant-General Sibusiso Busi Moyo (now retired), delivered on national television station, ZTV. Around 4am, Maj-Gen Moyo accompanied by Air Vice Marshal Shebba Brighton Shumbayaonda, were surprise visitors to ZTV. Without wasting time, Maj-Gen Moyo dropped a bombshell, announcing that the military had intervened to restore order in the country. Most importantly, he told the world that it was not a military takeover of Government. He said Mr Mugabe and his family were safe and sound as the military was only targeting criminals around the then president. The criminals comprised the notorious G40 cabal that had usurped the former president’s powers and was running a “kitchen cabinet”, making key national decisions. His speech was repeated after every 15 minutes by ZTV and during the intervening period, Chimurenga songs were played. It was an unexpected speech that took the whole world by surprise and drew mixed feelings among Zimbabweans. Some were happy that the military intervention had brought to an end the ruinous reign of the G40 cabal, while others were worried about the future of Maj-Gen Moyo and Air Vice Marshal Shumbayaonda. Much more important, people were asking where Maj-Gen Moyo (who was promoted to Lieutenant-General on retirement from the Zimbabwe Defence Forces and his colleague had gathered the courage to deliver such a bold statement. The speech conflated Lt-Gen (Retired) Moyo’s national currency and popularity as daring Mr Mugabe was naturally a taboo in Zimbabwe’s politics. He became a household name for displaying unparalleled bravery, but most people knew nothing much about the man behind the speech that heralded a new political dispensation in Zimbabwe. Some went on to call him “General Bae” because of his youthful looks. Last week, The Herald tracked down Lt-Gen Moyo’s family and caught up with his father, Mr Cephas John Moyo, in Bulawayo who shared a fascinating insight into his son’s character. Lt-Gen Moyo was born at Munene Mission Hospital in Mberengwa in 1960. He is the third born in a family of eight and joined the liberation struggle in 1977 when he was doing Form Three at Manama Secondary School. Lt-Gen Moyo joined the liberation struggle via Botswana in the company of his cousin, Air Marshal Elson Moyo, who was also at the same school. In an interaction that lasted for more than two hours in Bulawayo’s Nketa 9 suburb, Mr Moyo revealed that Lt-Gen Moyo had always been a gutsy character from childhood. “Sibusiso mwana wangu. Chakazvarwa chakangosimba, chakangonaka-naka,” he said. “He had a unique character during his childhood. He is the third born, but he would say he was older than his sisters born before him. “He would strive to be the best at whatever he did and even at school his teachers were always saying ‘your child is very intelligent’. I realised from the beginning that he had leadership qualities. He was a quiet person, but if you engage him on something he was very articulate and eloquent. “He was very intelligent. He was very good at Mathematics and we wanted him to become a doctor. In January 1977, he skipped the border into Botswana together with other pupils. “Ian Smith then asked all parents to follow their children to Botswana. 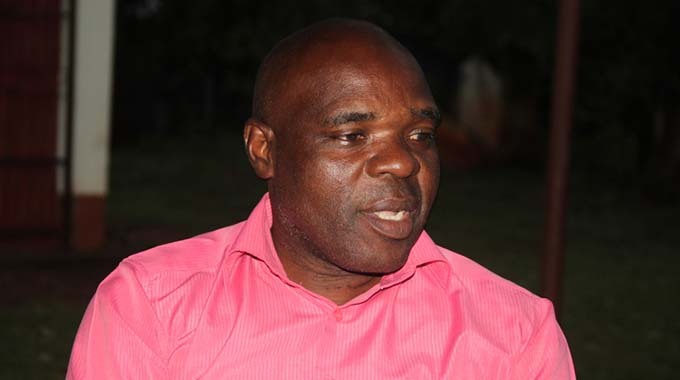 The day that I wanted to follow Sibusiso is the same when some two comrades – Joseph Kunyarara and Charles Tigwe – arrived and said all parents whose children were taken at Manama should not follow them. On ceasefire, Mr Moyo said he was pained that his son did not come back home. He said he visited the Bulawayo assembly point where he was advised that his son had been sent to advance his education in Russia. 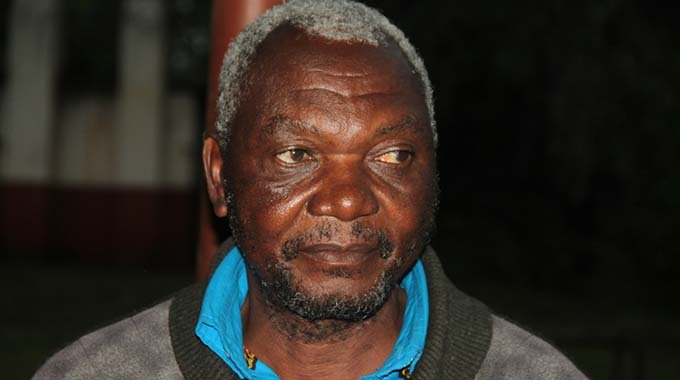 Mr Moyo said his son came back at a later stage, but refused to go back to school. “I said to him ‘The war is over, can you go back to school?’ but he refused,” said Mr Moyo. “He said ‘Father I am now working for the country’. All along he was working in the army until the day I saw him on television addressing the nation. “For a moment, I just stared at the television asking myself if the person talking was my son Sibusiso. I spent two days without eating, worried whether or not Mugabe would have mercy on my son. We first heard about General Constantino Chiwenga’s address and we were confused when we saw Sibusiso on television. Lt-Gen Moyo’s younger brother, Bothwell, told The Herald in Mberengwa that his brother was an ordinary rural boy, with a tough character. Bothwell added: “I remember very well that our parents wanted him to be a doctor since he was very bright. 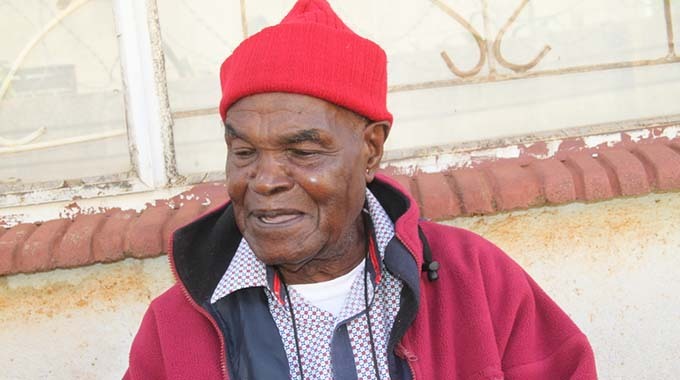 They cried uncontrollably when he left the country to join the liberation struggle. 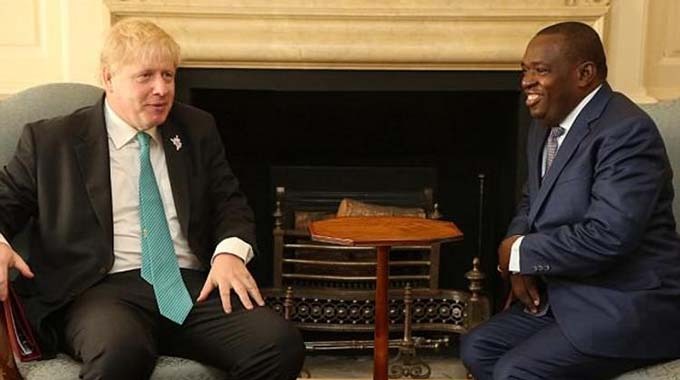 “After the war he enrolled at the Zimbabwe Military Academy where he furthered his studies, but our parents were still determined that he should become a doctor. “We tried to convince him to study medicine, but he said to our parents, ‘My father, I will do everything for you while I am working for the army’. I also stayed with him when I was pursuing my Bachelor of Arts degree. Mr Misheck Zhou, who went to Masvingo Primary School with Lt-Gen Moyo said: “He was very disciplined and his father was a teacher. They had guava trees at their home and as his friends we would go and eat the fruit. “He was humble and was not as pompous as other children whose parents were teachers. He was very tolerant. “Sibusiso was very energetic and we used to have school debates then. He was very eloquent during those sessions. At first people thought he was being taught by his father at home since he was a teacher. Lt-Gen Moyo, who is now commonly known as S.B Moyo, has since retired from the military and is the Minister of Foreign Affairs and International Trade in President Mnangagwa’s Government.